Left in the colder months are the days where we spent hours getting glammed up to go out. It’s finally summer, and that typically means we’re too busy basking in the sun and getting tossed around in the surf to spend more than a handful of minutes on our makeup and hair routine. So we are here to let you in on our Glamifornia summer style secrets. Stay tuned babes, Glamifornia Style Lounge has you covered this summer. Summer sun, if done the right way, can give you that coveted bronzey glow. Just be sure you’re still wearing a protective layer sunscreen and moisturizing. 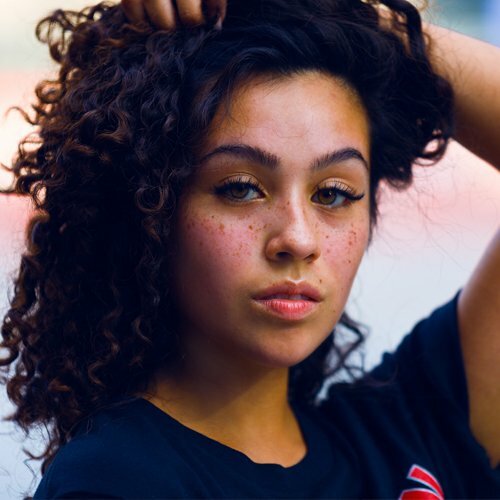 You can welcome the spread of freckles that you get from a little sunshine. Why cover that all up? There’s nothing wrong with still wanting a little coverage, but do the least you can for the look you want. 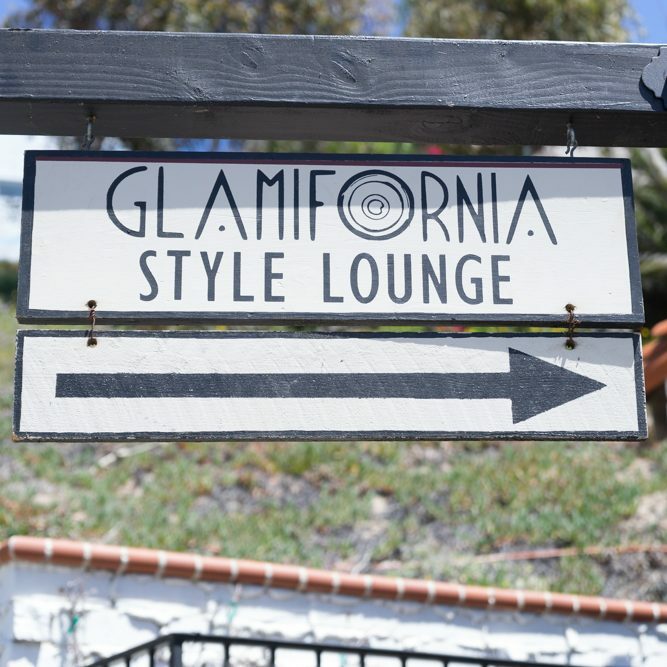 If you’re in the LA area, come into Glamifornia Style Lounge for a personalized makeover. We will treat your skin to an array of products that will finally get you believing that less is more. Check out all the different makeover services Glamfornia Style Lounge provides for that perfect summer glow. 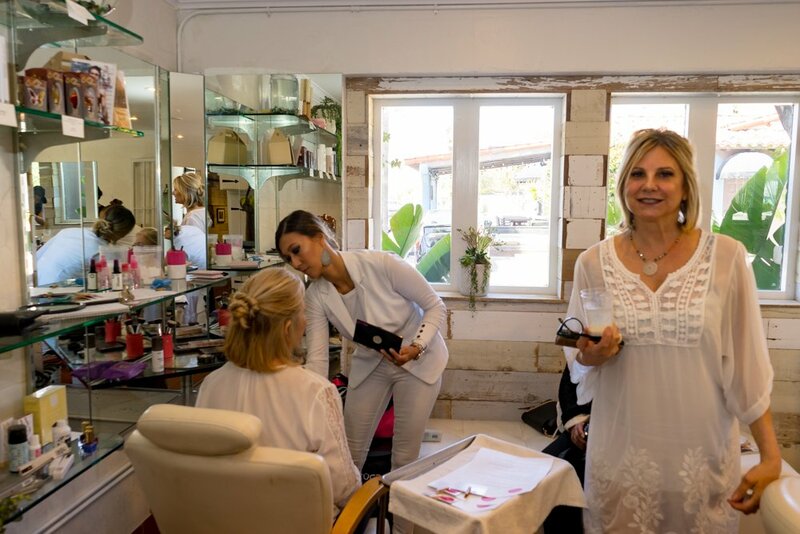 Pop in for a quick touch-up, our makeup artists will get you picture perfect in no time. Summer looks always start with our MadFlowers line, for the summer, we are cooing over the Body Bronzer, Face Dew, and Lip Potion for that effortless, beachy, look. If you aren’t local to the LA area, check out these makeup tips for summer. Try a light, tinted moisturizer and dab a little concealer on spots you need covered. Our MadFlowers collection is available online too for your convenience. We suggest combining our body bronzer and face dew for the most flawless tinted moisturizer. When it comes to the rest of your face, the same concept applies. Avoid sweaty smudges by turning to your favorite waterproof mascaras, and go easy on shadows and liners. A small dab of a warm gold tone (hello, MadFlowers Body Bronzer) goes a long way. One of our other favorite tricks is finding products that are multi-taskers. Try a stain that works for both lips and cheeks, and dab it on right before going out for a fresh pinky glow. Why not a top knot? The name of the game when it comes to summer hairstyles is to keep it up. These effortlessly chic hairstyles will compliment your summer look perfectly, and most importantly, keep you cool in that summer heat. Top knots will never go out of style, whether you’re going for a sleek look or a messy bun. If you don’t want to deal with your hair all day, top knots are a great trick for day-to-night transitions. Our hair guru’s at Glamifornia Style Lounge can show you how to do the perfect up-do. Whether you’re looking for a messy beach bun look or a slick top knot for a night out, our stylists have you covered. 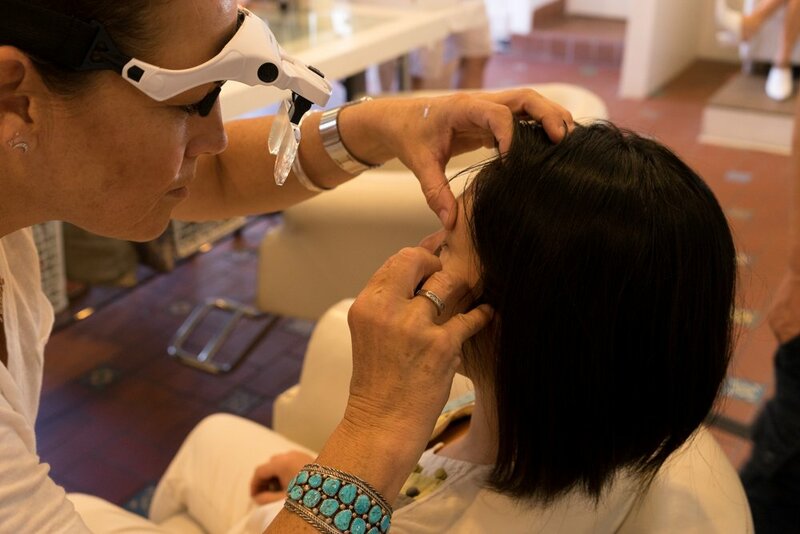 Book your consultation appointment today. These hot months are all about having fun with your style and keeping things simple. If you know the tricks to beat the heat, you’ll look effortlessly cool even in the worst humidity or on a super hot day. We are here to encourage you embrace the heat, embrace your beauty, and to spread warmth to everyone. 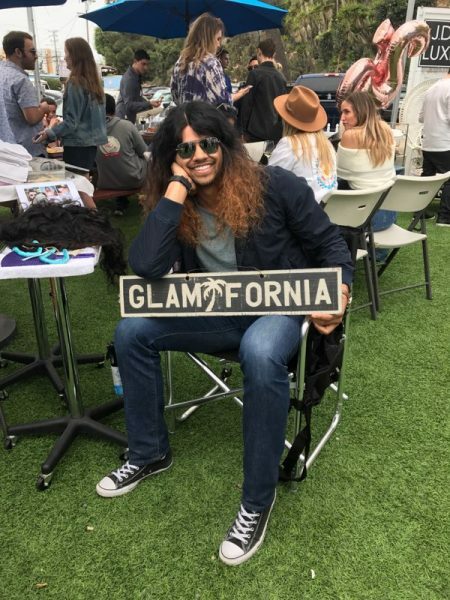 Your summer style will be so fresh with help from Glamifornia Style Lounge! Fun, Fun, Fun, Style in Seconds Event! What do you get when you combine Beauty, Hair and Style…Glamifornia! Fun, Fun, Fun…what more can I say. Easy UpDo® Extensions and Touch of Zuk joined Glamifornia Style Lounge! The champagne was flowing, the hairstyles were Glammin’, and the faces were glowing. 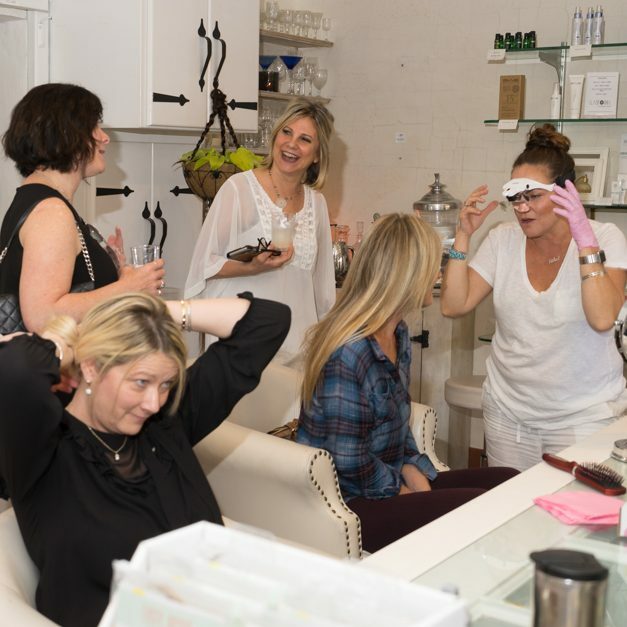 This was such a fun event; Glamifornia teamed up with Gina Greblo, creator of Easy UpDo® Extensions, showing us how easy it is to give yourself a glamorous Easy UpDo® Extensions. Remember when you had to go to the salon and it would take a painstaking two plus hours, well not anymore! Now its as simple as attach, twist, wrap, secure and bada bing – you look marvelous! Liz Caraveo was there working her magic helping out twisting and wrapping our hair into Glamorous hairstyles! The GSL really had us covered, as if the Easy UpDo® Extensions weren’t enough, Marcia Deneszczuk from “Touch of Zuk” was there with the latest in makeup and contouring. She showed us how to apply the latest trends in makeup. If that wasn’t enough, Nikola Lira was hosting a Lash + Brow Bar with fabulous lash extensions for those of us who could use a little help in the lash and brow department. Everyone that attended left Glamorized and exhilarated…Fun was had by all. Don’t forget to join us for our first Trunk Show with: Sosy’s Designs, May 9th 5:30-8:30. Join us at the GSL for an evening of fun and networking featuring beautiful handmade jewelry and fabulous salon services. Guaranteed fun for all! Check the GSL calendar for all of our events! Come for the Style, Stay for the Lounge! “Pop Your Shop” invited Glamifornia to BUchella! 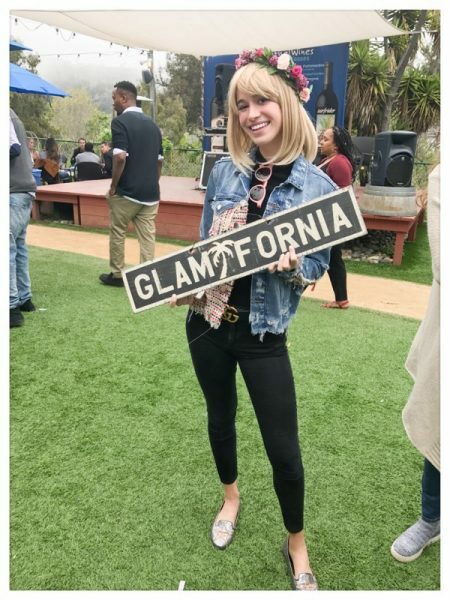 Glamifornia was honored to be invited to BUchella by, Pop Your Shop to share this season’s current hairstyle trends at L.A.’s top “influencer” event at the Rosenthal Wine Bar on PCH. 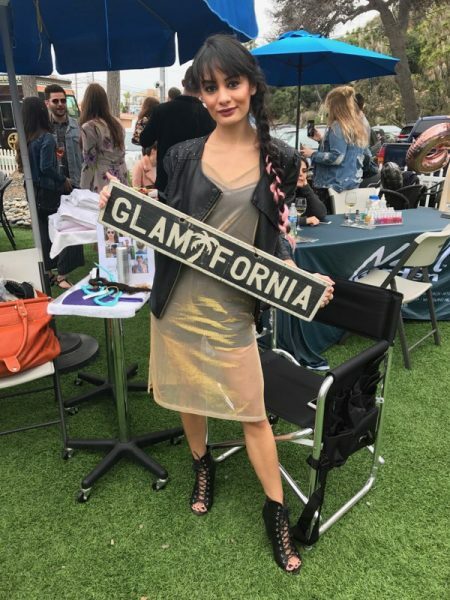 Glamifornia was in full swing helping L.A.’s hottest influencers Glam it up for the Coachella weekend. 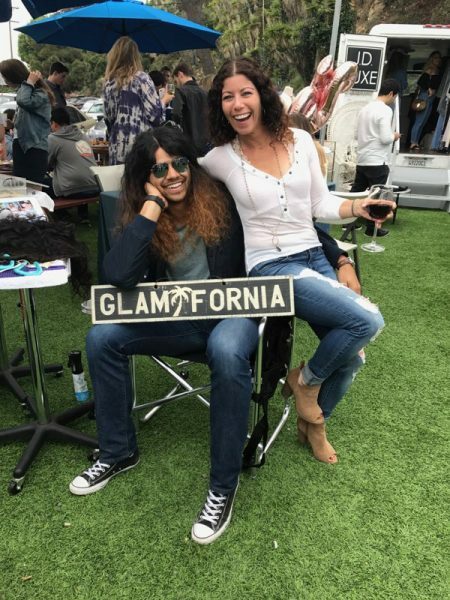 The weather was perfect, the people were stylin’, and the style was flowin’ with Glamifornia’s hottest artists at BUchella with the latest trends in hairstyles, braids, spray tans and lashes. 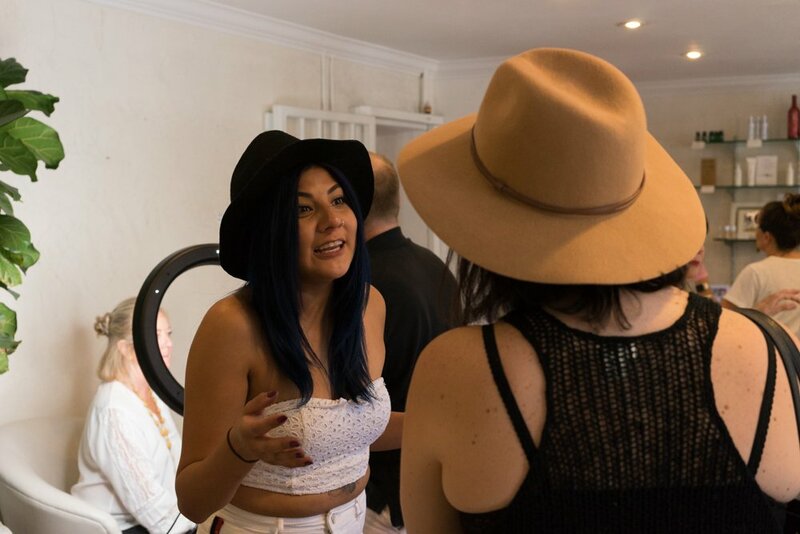 Glamifornia partnered with Easy UpDo® Extensions offering private sessions and a full day of prepping for the Coachella crowd. 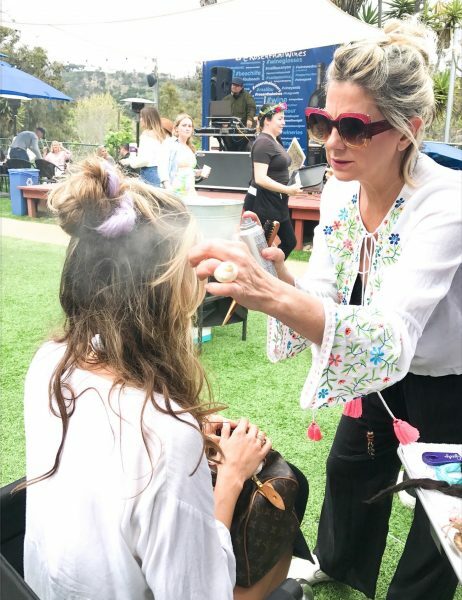 Rachel McCord was rockin’ it with a personalized Coachella hairstyle by, Glamifornia’s founder, Terah Tidy, who is a rock star in her own right! 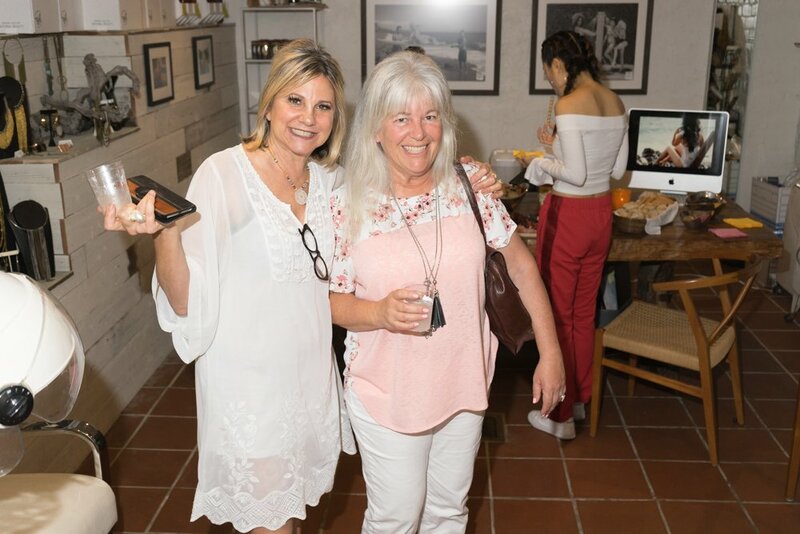 If you couldn’t make it to “BUchella” for the styling event of the season you can still come to the GSL for the Spring Styling event on Sunday, April 22. Glamifornia will be showcasing the season’s current styles in: makeup, contouring, hairstyles, and the California Glamour. Join us for a day of style and Glamour at the GSL and then we will head over to Nobu for lunch….Glamifornia Style!